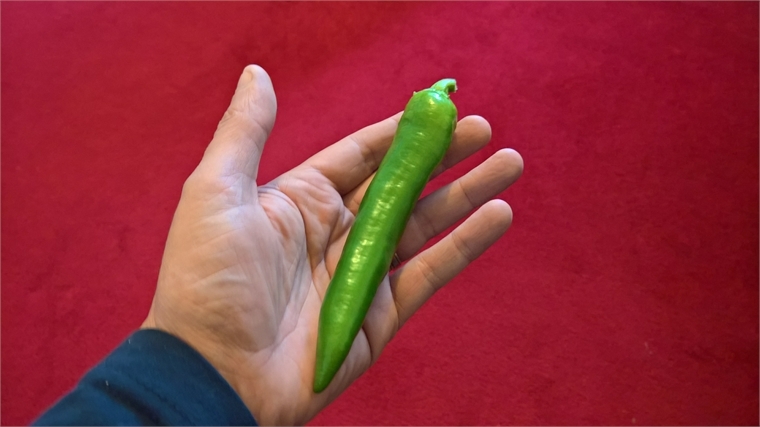 Bought a small 'jalapeno' chilli plant from a local garden centre in the spring. Does this look like a jalapeno? I was thinking the same, Les. Doesn't seem to have even the shape and colour and glossiness of Jalapeno. As for the heat; I'm not after superhot stuff, just something I can actually use in food But I doubt, as you say, if this one packs any kind of punch at all. Hi Les. Yes I use them too. Will have to source a plant for next year or try growing from seed. That looks exactly like the Serrano chillies that I buy from my local market. Funnily enough, I originally wanted Serranos but couldn't get a plant, so maybe it's a blessing in disguise.